Now you have made your first purchase but you want to get more involved. You would like to participate more in the market to try and capitalise on the fluctuations and to identify projects that really interest you. It can be a scary experience doing this in cryptocurrencies. In the last chapter, we provided a walkthrough of using your first exchange and wallet but there are many options to choose from. Investors can sometimes be overwhelmed by the sheer amount of options. Layered on top of this we have industry jargon, development conflicts, and loud online communities. This chapter is going to be your jungle guide to the field of cryptocurrency investment. We will talk you through how to weigh up different options, the relevant online platforms, and the jargon! HODL is the champion of cryptocurrency jargon. It reached mainstream attention when the CFTC chairman Christopher Giancarlo explained it to US Senate earlier this year. It essentially boils down to the advice to hold on to your cryptocurrency in the face of price depreciation. It has been misunderstood as an abbreviation of Hold On for Dear Life, but this is the general gist. The origination of the term comes from a now-famous forum post from 2013. This one stands for Fear Of Missing Out. When a cryptocurrency is making huge price increases and you don’t hold any, the FOMO can be strong. This one is also a common term used in traditional markets and journalism. It refers to the spreading of Fear, Uncertainty, and Doubt through the misleading of the public with the media. The common advice after a downturn in the markets is either HODL or Buy The Dip. It refers to using your fiat holdings to buy more cryptocurrency. Risky advice if the markets continue to fall. Refers to a trade or position that goes horribly wrong. Commonly applied to a trader getting liquidated after taking a leveraged trade. A leveraged trade involves the use of borrowed money. We will talk about using leverage further in chapter six. Refers to holding amounts of cryptocurrencies. You don’t want to get stuck holding bags of cryptocurrencies in a declining asset. Refers to altcoins with weak attributes. This term is an arbitrary one and will be used differently by different people. Bitcoin maximalists may call all altcoins shitcoins. Bitcoin enthusiast who believes Bitcoin is the one and only cryptocurrency that will succeed. All the others will eventually fail or have their use cases incorporated into Bitcoin. Posting of low-quality cryptocurrency content via Twitter. Referring to the potential of coin to undergo huge increases in price. Commonly seen in shitposts. The dream car for cryptocurrency investors. Commonly seen in shitposts. Cryptocurrency investor with large amounts of holdings that can move the market. Beginner to the cryptocurrency universe. Refers to a developer known as devops199 deleting an Ethereum account with over $300 million worth of Ethereum for the price at the time. Refers to all-time-high for the price. Bitcoin hit its ATH in December 2017. The forecasted demise of Ethereum by Bitcoin trader Ugly Old Goat. A term used to refer to Bitcoin Cash but also insult it all in one word. Isn’t Jargon amazing? Here, we will outline some of the key online channels where the cogs of the cryptocurrency machine turn. These are the places where conflicts are started and disputed, tribes formed, and key matters meshed out. Each channel has its own advantages and disadvantages. Nothing beats the first-hand experience in finding out if these are useful for you so I am sure you can guess the exercise at the end of this chapter! Nonetheless, here’s a brief on the key channels. The majority of cryptocurrency projects are open-source. GitHub is one of the most popular platforms where repositories of code are uploaded. It is where the majority of cryptocurrency projects hold their code. The open-source nature enables the project to be assessed, enables the community to contribute to the code, and even fork the code. Users on this platform can assess the activity of a project, openly examine the code, and have a look into the developers that are contributing to the project. For a more technical discussion on code and to ask certain questions in relation to syntax, StackOverflow is another community where technical questions are queried and answered. Crypto Twitter is notorious and for a good reason. It is a mesh of memes, discussions, charts, outrageous claims, education, and everything in between all of these. Anybody can voice their opinion here and it is the grounds for much key discussion related to projects. Key innovators in the industry use it as a platform to broadcast announcements, developments, and even just general thoughts. Some examples of innovators which use it include the founder of Ethereum co-founder Vitalik Buterin, Litecoin founder Charlie Lee, and the privacy-focused altcoin Monero founder Ricardo Spagni aka FluffyPony. Reddit is a popular platform where projects typically have subreddits. Subreddits essentially act as forums where users can post content, links, or ask questions. It is usual for new cryptocurrency projects to set up subreddits so that the community can ask questions in relation to the project. The subreddits are typically moderated by key people in the project. The moderation prevents spam from being posted to the subreddit. Users of Reddit have karma points which also prevents spam. Low-quality content will be downvoted and less seen by users on the platform. Some subreddits also require their subscribers to have a minimum amount of karma points before posting on the subreddit. BitcoinTalk is similar to Reddit with new projects typically being posted on BitcoinTalk to be scrutinised by the community. BitcoinTalk dates back to the early years of cryptocurrency and Satoshi Nakamoto even participated in this forums. The BitcoinTalk community is typically rigorous in their assessment of new projects being posted. Users also have a ranking based on their history and contribution to the platform. All the posts are still on the forum so you can go back and see some of Satoshi’s posts. TradingView is all for technical analysis and trading ideas. This platform deals with almost all kinds of financial instruments including equities, commodities, precious metals, and much more. TradingView is mainly a software that users can use to chart and analyse securities but we will go deeper into this in the next chapter. The key point here is that they also have a community that posts their trading ideas and analyses. Ideas which the community like are upvoted and are seen by more of the community. Users can also comment on ideas to give their own opinions. Moderation does exist but is limited so it is common to find users promoting their products and services in posts. Medium is a blogging platform. It is more tailored for long-form posts surrounding cryptocurrencies and blockchain technology. While Twitter is limited to 280 characters, Medium has no limit on how long a post can be. Many innovators also post long-form content here which can spark discussions that often ends up being more broadly discussed on Twitter. The range of content is widely varied with some being deeply technical, and others being completely introductory. Businesses in cryptocurrency typically set up their own Medium page also and use it as a channel for announcements. Coinbase and Ripple, two powerhouses in cryptocurrency, both use Medium for their announcements. Telegram is an encrypted messaging platform where both channels and group discussions can be set up. It is commonly used by projects to establish a community and answer any questions the community has in relation to the project. ICO’s will often use it during the fundraising phases to guide investors through the process. However, anybody on it can be easily messaged so scams are common. Users just need to click on another user’s username and they can private message them. With scams becoming more and more prevalent, many are migrating towards the messaging application Discord. Telegram still remains a key point for discussion and many education groups have set up channels here where they post valuable content. As you navigate through these social media platforms, you are going to come across well-known and regarded figures. These are individuals who have built up a significant reputation in the industry. Some will provide useful content and information while you are learning about cryptocurrencies. Others will lead you down the wrong track and promote poor projects. As you become more involved in the industry, you will begin to be able to discern which cryptocurrency influencers are worth listening to and which are better off avoiding. We will cover five big influencers here that you are bound to come across here. Buterin was involved in Bitcoin from very early in the development of the project. Buterin was one of the founders of Bitcoin Magazine which is a popular technical resource on Bitcoin. However, he is most well-known as being the co-founder and main leader in the Ethereum project. Buterin often engages with the community in technical discussions. Buterin also co-authored “The Business Blockchain” book. After many people have impersonated Buterin and attempted to get users to send Ether, his Twitter name is now Vitalik Non-giver of Ether. Justin Sun is the founder of the Tron project which is a cryptocurrency ranked in the top twenty by market capitalization. Sun is commonly known for constantly releasing announcements in relation to Tron. These announcements often result in sharp increases in price. Ian Balina is a well-known influencer involved in a huge number of ICO projects. Balina commonly uses the moon and lambo jargon described at the jargon section of this chapter. Be careful when participating in projects that Balina supports. Balina is heavily compensated for supporting projects so there is a serious conflict of interest. John McAfee initially became known for founding the company which provided the first commercial antivirus software. It still runs on many computers today. McAfee has recently become more and more vocal about advocating for cryptocurrencies. He has promoted some questionable projects and during the 2017 bull run, there was evidence of McAfee accepting compensation for promoting projects. Roger Ver is the key member behind the Bitcoin Cash project. A lot of heated and contentious discussion takes place around Ver’s content with the Bitcoin community strongly disagreeing on his viewpoints. Ver has also got caught up in discussion and interviews which have severely escalated in hostility. Now you are up to speed with some of the jargon used in cryptocurrency investment and also some of the key influencers. In the last chapter, we covered a walkthrough on how to use Coinbase to make a cryptocurrency purchase and also how to secure your cryptocurrencies in the Exodus wallet. But there are many choices for exchanges and wallets. There are also many choices for how you source your information to help with your investment decisions. This section is going to give an overview of different tools and the key things to bear in mind when making a decision. The cryptocurrency industry is still developing so it is natural that there are many exchanges popping up. What you need to consider when using these exchanges is that 5-10 years down the line, many of these exchanges may not exist. Different exchanges will serve different needs. 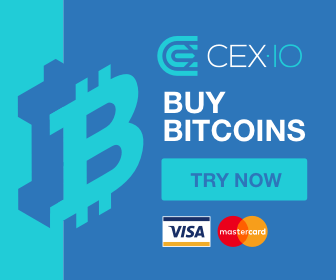 If you are looking to use your fiat currency to purchase cryptocurrency, one of the major fiat-to-crypto exchanges is the best option. Many of these larger exchanges have some degree of regulation so if something were to happen to your funds, there is the possibility that you may get some compensation from consumer protection laws. If you are venturing into altcoins and trading frequently between cryptocurrencies, one of the larger crypto-to-crypto exchanges will be the best option. 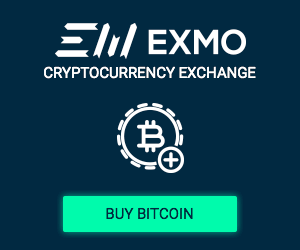 If you are seeking a specific cryptocurrency, you may need to locate it on a specific exchange. But if you are doing this, you need to take into account some key considerations such as the fee schedule of the exchange, the security, and the operations. Some exchanges charge such high fees that the trades being considered might not be worth it. Security is one of the most important. It doesn’t matter if the fee schedule is low on an exchange where there is the possibility that you could lose all your funds. See if information can be found on how the exchange stores funds. It is preferable for exchanges to store the vast majority of their funds in cold storage where only a number of people can access it. Cold storage implies that the funds are stored offline. Some of the social platforms listed above can be used to assess the security and also the operations. It is also worthwhile looking for the team behind the exchange on LinkedIn. It should be a red flag if there is no information on the key team operating the exchange. Whatever exchange you decide to use, you should still always transfer your cryptocurrency from the exchange into your own wallet once your trade is complete. A wallet can also store funds either in hot storage or cold storage. Hot storage means the wallet is connected to the internet and cold storage means the wallet is offline. Wallets can also be hierarchical deterministic (HD) which was discussed in the last chapter. This gives the wallet the ability to generate new addresses. Some wallets have multi-signature functionality where users can have requirements for multiple signatures and have multiple accounts. The code for the wallet can either be open-source or closed-source. Open-source is preferable as the wallets code undergoes assessment and testing from the community. Some wallets have the feature to add two-factor authentication (2FA) which enables an extra layer of security. Wallets can be highly secure without having the capability to activate 2FA but it does exist in some wallets. Hardware wallets are considered the gold standard of security for the typical cryptocurrency investor. The most popular hardware wallets are Trezor, Ledger, and KeepKey. Hardware wallets store the private key on the device itself. It applies a high level of encryption so even if somebody got the device, they would not be able to access the funds. The encryption also prevents malware on the computer which is being used to access the funds from identifying sensitive information. If an investor builds considerable wealth in cryptocurrencies, it is recommended that they consider a hardware wallet. The downside is that there is a high cost to these wallets so if investors only hold a small amount, it may not be worth the investment. Desktop wallets and mobile wallets come in a wide variety but many typically store the private key on the device itself. If the device becomes compromised, this is not ideal but when used correctly, there are many secure desktop wallets and mobile wallets. Web-based wallets have the lowest standard of security. The private key is typically controlled by the entity operating the browser and the potential for sensitive information being revealed is orders of magnitude larger. Sensitive information can be stored on a cloud server meaning it can be accessed by other entities that have access to the data on the cloud. A paper wallet is a unique solution which is not commonly used. It is a paper print of a wallet with the private key and the public key. The key benefit to this wallet is it is completely offline and any funds sent will be sent to the public key and received regardless of the wallet being offline. Paper wallets can be generated online and printed through a number of websites such as walletgenerator.net. When users eventually wish to access the funds, they can import the wallet into an online wallet service such as blockchain.com. The key drawback of a paper wallet is the private key is typically kept on the same sheet of paper with the public key so if someone were to access the paper they would also be able to access the funds in the wallet. Discussion with the community via the social platforms listed above can be a key source of investing information for traders. These platforms can lead to deep discussions where traders debate ideas. But apart from this traders also use project research, news developments, technical analysis, and data analysis to assist in their trading. Much project research is completed via the projects website and their whitepaper. In terms of technical analysis, some of the most popular tools include Coinigy and TradingView. We are going delve deeper into both project research and technical analysis in the next chapter and highlight what to look out for. There are multiple news sites which report on recent developments in the space. It can be difficult to keep up to date with all of them. Aggregators such as cryptopanic.com compile the news so it can be accessed from one spot. In addition to the aggregators, users can find some of their favourite news sites and set notifications for when new articles are released. Many news sites now also have a Telegram channel which automatically sends a message when a new article is published. 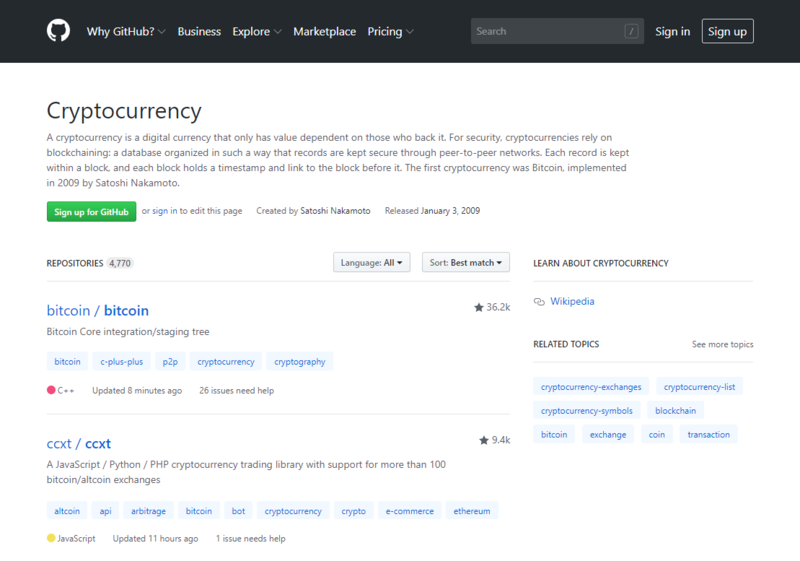 In terms of data analysis and price tools, coinmarketcap.com is the favourite for users keeping up to date with the price. However, there are many alternatives such as solume.io and cryptocoincharts.info which offer interesting alternatives. Solume provides its own unique analysis on the sentiment of individual cryptocurrencies and includes a metric which measures the number of Twitter and Reddit posts mentioning the cryptocurrency over the past 24 hours along with its percentage change. Compare the fees and tools of three different exchanges you can use. Determine which one is best to suit your needs. Binance.com, poloniex.com, and bittrex.com are three examples. Once you’re ready, proceed to chapter 5.